1. Northgate's Prince Charming "Manu"
2. Northgate's Rock The World "Sergei"
3. Nortgate's Forever N Ever "Enzo"
4. Northgate's King Of The Ring "Qezo"
5. Northgate's Dom Perignon "Skumpan"
10. 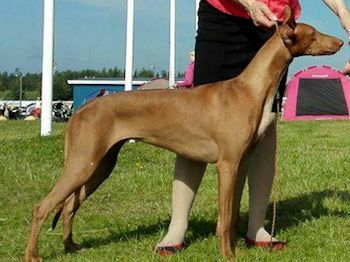 Northgate's Platinium Edition "Sulo"
11. 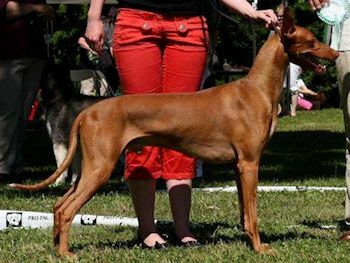 Northgate's Qing Of The North "Aku"
Northgate's Red Riding Hood "Redi" 2 x BOS 2 x cacib 2 x CC!! 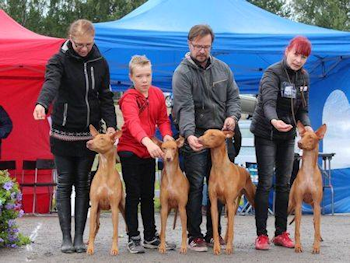 Pharaoh Hounds were judged by Mrs tuula Savolainen. BB-3 Britney (Northgate's Northside Special), HEWVW-16 Enzo (Northgate's Forever N Ever). Dervisch Sixteen Shades Of Blue. 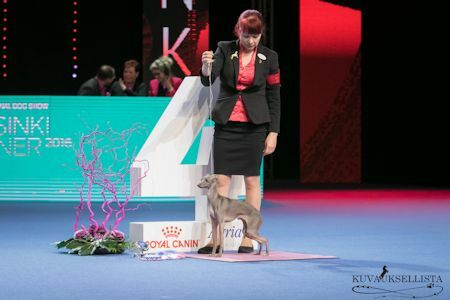 And at the group finals Mr Rainer Vuorinen placed her as BIG-4! 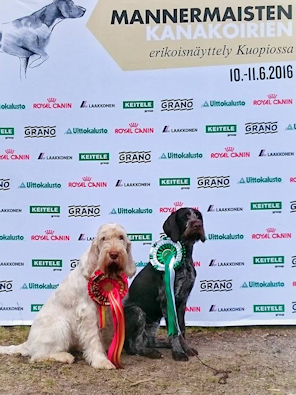 Stella, FI & SE & NO Ch BISS Dervisch Sixteen Shades Of Blue, BOB & BIG-2! 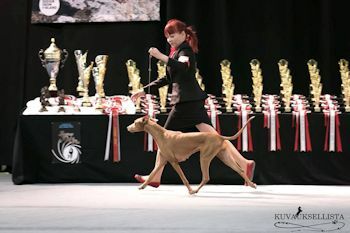 Breed judge: Mr Åke Gjetnes Group: Mr Pietro Bottagisio, Italy. kuvauksellista. 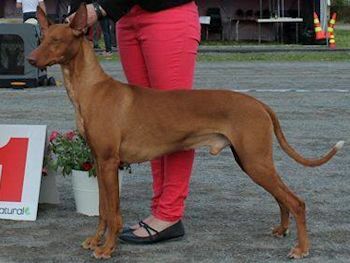 Thank you Annnukka Paloheimo (breed) & Mr Lothar Mende (group)! BB-2 CC Northgate's Rock Princess "Roxy"
BOS CC cacib Northgate's Rock The World "Sergei"
BM-2 Northgate's King of the Ring "Qezo"
BM-4 BOB-veteran Northgate's Forever N Ever "Enzo"
(group) and Mr Tamas Jakkel (BIS)! 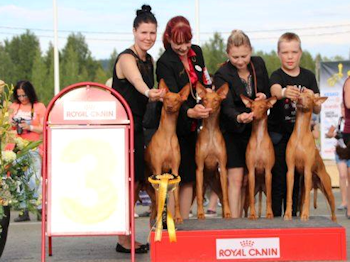 BOB cacib Northgate's Prince Charming "Manu"
BM2 Northgate's King of the Ring "Qezo"
BM3 BOB-veteran Northgate's Forever N Ever "Enzo"
BOS CC cacib Northgate's Rock Princess "Roxy"
BB3 Northgate's Northside Special "Britney"
GWP Rikurovan Iira BOB with CC & cacib and made the cut off at the group finals! 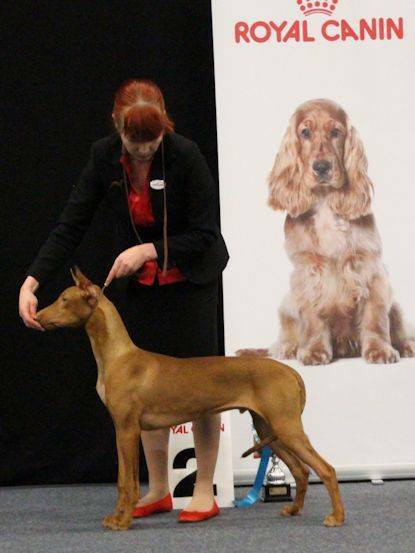 Also Manu the Pharaoh Hound made the cut off at the huge Group 5! and was placed as Group-2 each day! 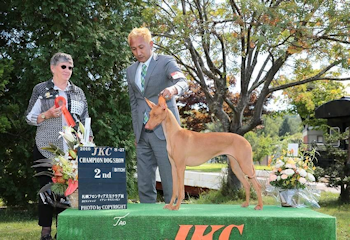 Congratulations owner & handler Yukio Ito! 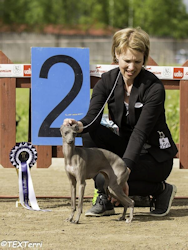 BOB CC Northgate's Rock The World "Sergei"
BM-2 Cacib Northgate's King Of The Ring "Qezo"
BM-4 Northgate's Prince Charming "Manu"
BOS Cacib Northgate's Northside Special "Britney"
Italian Greyhound Stella, Dervisch Sixteen Shades of Blue, was BOS with cacib. Spinone Riipi, Fragola Tempesta Dineve, BOS with cacib. 1. Northgate's No Regrets "Dexie"
2. Northgate's Poetry In Motion "Saga"
3. Northgate's Prince Charming "Manu"
4. Northgate's Qing of the North "Aku"
Kaiku, Northgate's Read All About It, BOS with CC at Hammaslahti Group Show. Judge Mr Markku Kipinä. 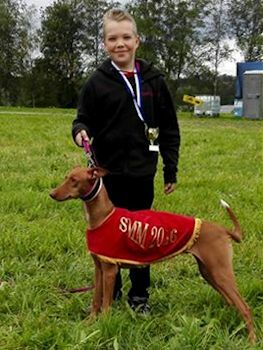 And in Laihia Lure Coursing Dexie, Northgate's No Regrets, won with her new personal record 508 points! 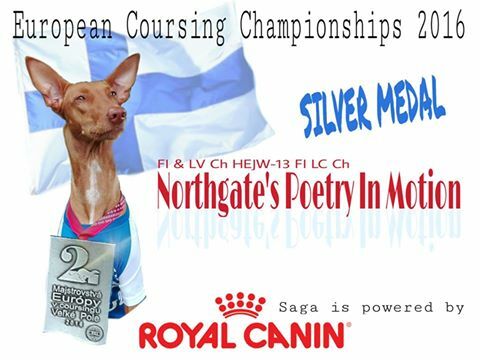 FICC-16 Northgate's Poetry In Motion "Saga"
Silver medal Northgate's No Regrets "Dexie"
Japan at the age of one year! 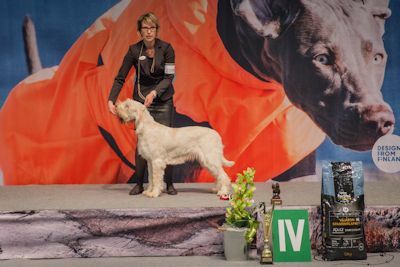 Northgate's Forever N Ever "Enzo" BOB-veteran & European Veteran Winner 2016! 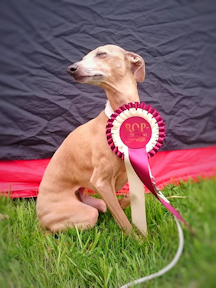 Enzo (Northgate's Forever N Ever) BOB-veteran & Euro Sighthound Veteran Winner 2016! 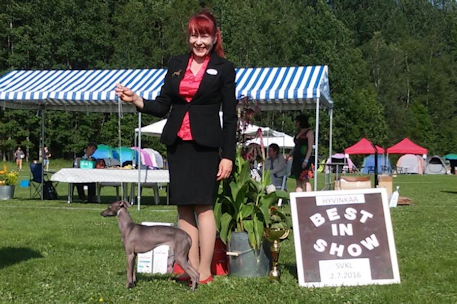 Italian Greyhound Stella Dervisch Sixteen Shades of Blue BOB CC BIG-1, Judge Mr Matti Luoso. 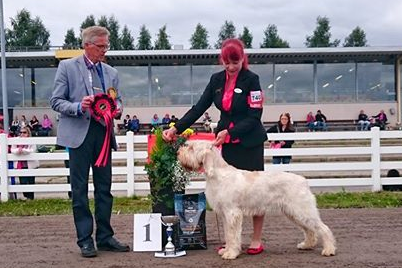 spinone Fragola Tempesta Dineve BOB BIG-2, judge Aila Lehmussaari. BM-2 BOB-veteran Northgate's Dom Perignon"Skumpan"
BM-3 Northgate's King of the Ring,"Qezo"
BOS CC Northgate's Rock Princess"Roxy"
BB-2 Northgate's Northside Special "Britney"
BM-2 cacib Northgate's Qing of the North "Aku"
BM-3 BOB-veteran Northgate's Dom Perignon "Skumpan"
BB2 CC Northgate's Rock Princess "Roxy"
BB-3 Northgate's Heavens I'm Hot "Nealah"
BOB BIG-3 Italian Greyhound Dervisch Sixteen Shades of Blue " Stella"
Our Prince Charming was BIG-1 Group 5 was judged by Mr Harri Lehkonen!!!! 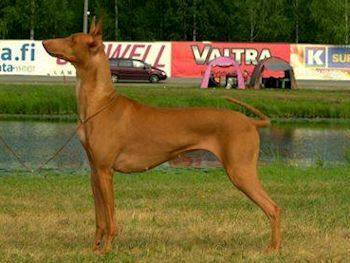 BOB BOB-veteran Northgate's Dom Perignon "Skumpan"
BM-2 CC Northgate's Rock The World "Sergei"
BM-3 cacib Northgate's Proud To B Loud "Zuko"
BB-3 Northgate's Rumours And Gossip "Naga"
Pharaoh Hounds BOB cacib Northgate's Qing of the North "Aku"
BOB & BOB-veteran BIS-3-veteran Northgate's Forever N Ever "Enzo"
BOS with CC Northgate's Red Riding Hood "Redi". BOS BIS3-BOS Northgate's Rock The World "Sergei"
BM-2 BIS-2 veteran Northgate's Dom Perignon "Skumpan"
BM-3 Northgate's Prince Charming "Manu"
BM-4 Northgate's Platinium Edition "Sulo"
BB-3 Northgate's Rock Princess "Roxy"
BOB CC cacib IG Dervisch Sixteen Shades of Blue "Stella"
BOB cacib Spinone Fragola Tempesta Dineve "Riipi"
BOB cacib Northgate's King of the Ring "Qezo"
BM-2 BOB-veteran Northgate's Dom Perignon "Skumpan"
BM-3 CC Northgate's Rock The World "Sergei"
BOB cacib BIG-1 Spinone Fragola Tempesta Dineve "Riipi"
BM-2 cacib Northgate's Prince Charming "Manu"
BOS CC Northgate's Rock Princess "Roxy"
Tarre (Fragola Zelante) BB2, CC and res-cacib & SE Ch, C.I.B. IG "Stella" Dervisch Sixteen Shades of Blue BOB, cc & Cacib and later BIG-2! 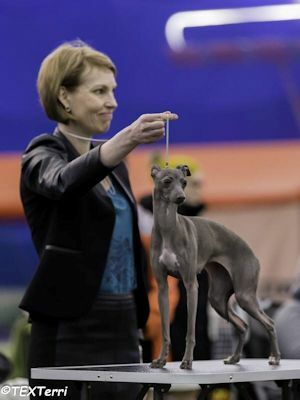 Our Italian Greyhound Stella, Dervisch Sixteen Shades of Blue, TOOK IT ALL!!! 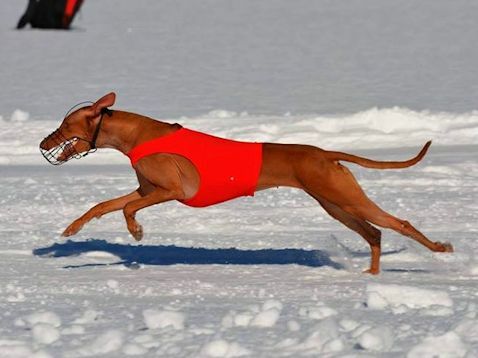 Saga was first with her personal record 37,86 and Aku (Northgate's Qing of the North) 2nd on 480 m race. had a BIS progeny group. was BM-4. 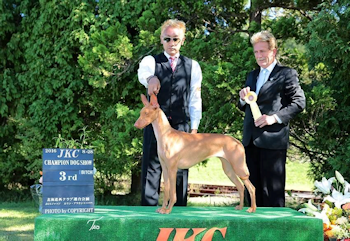 We had BOB & BIS breeders class. 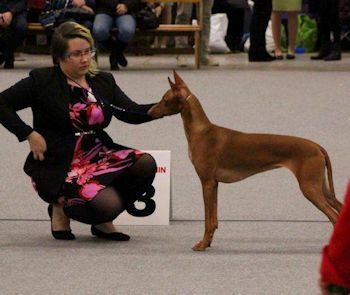 BOS Northgate's Red Rabbit Hunter "Muumi"
GWP Rikurovan Iira BOS and CC, BOB Junior and BOB movements at her first show ever. 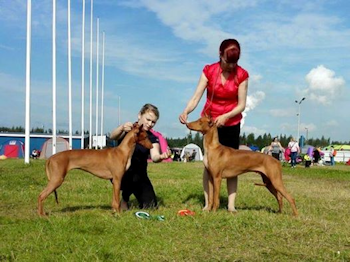 Big thanks to Mrs Tiina Eskelinen (junior) and Mrs Lena Nordin, Sweden (Breed). 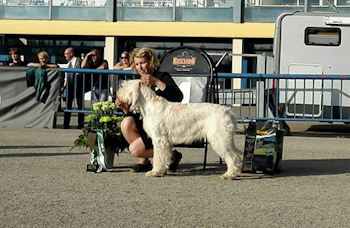 At the finals spinone Riipi had BIS movements and she was placed as BIS-2! GWP Iira was BIS-1-junior and BIS-4-movements! 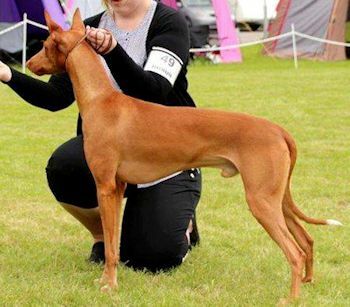 BOB CC Northgate's Rock The World "Sergei" "
BOS Northgate's Northside Special "Britney"
BOB CC Dervisch Sixteen Shades of Blue "Stella"
At the Group finals Northgate's Pharaos were BIS-3 breeders class!!! 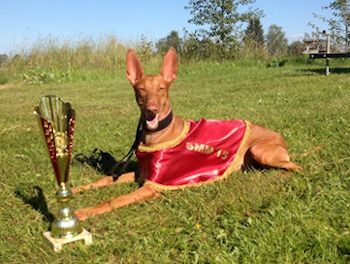 BM-2 Northgate's Rock The World "Sergei"
At the Group finals Mr Mähönen placed Stella as BIG-2 and Northgate's Pharaos were Best In Show breeders class!!! On Saturday Pharaohs were judged by Mr Harry Tast. His BOB was our baby boy, only 9 months old Sergei. 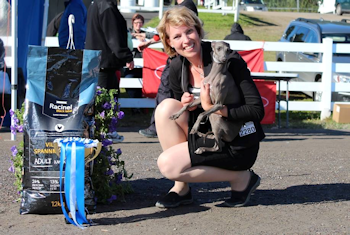 BB-3 res-CC Northgate's Read All About It "Kaiku"
Italian Greyhounds were judged by Mrs Hannele Jokisilta. 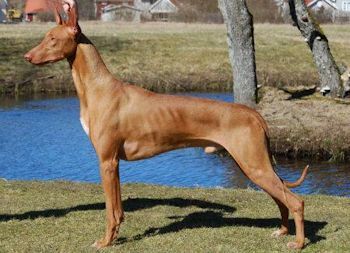 Her BOS with CC & cacib was Dervisch Sixteen Shades of Blue "Stella" and BOB-veteran C.I.B Nordic & FI & SE & NO Ch & FI LC Ch Northgate's Envy Me "Latte". 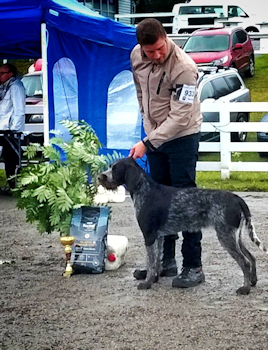 German Shorthaired Pointer "Roihu", Meracus Fiamma, was BOB with CC and is now FI & SE Ch! 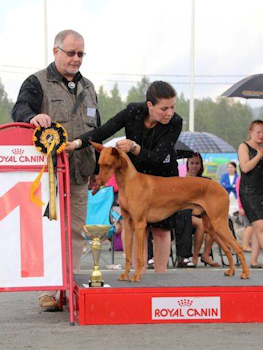 Breed judge Mr Pekka Teini. 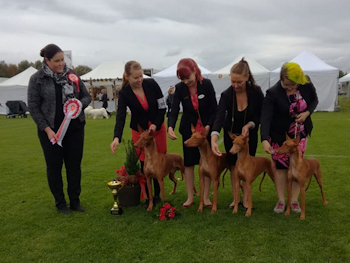 On Sunday Pharaoh Hounds were judged by Mrs Anneli Pukkila. 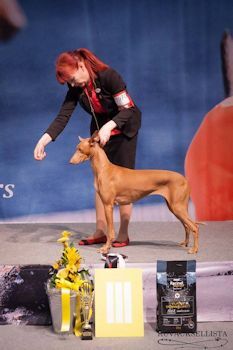 BOB Northgate's Northside Special "Britney"
BOS Northgate's King of the Ring "Qezo"
BM-4 Northgate's Dom Perignon "Skumpan"
Italian Greyhound Stella was BB-3 and Latte again BOB-veteran. 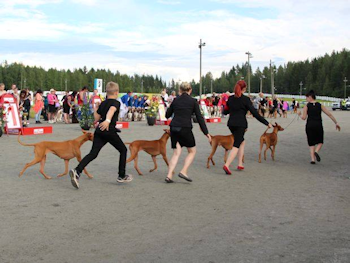 While we were showing in Joensuu Veeti took his Saga to lure coursing in Lumijoki. Saga won with 491 points. 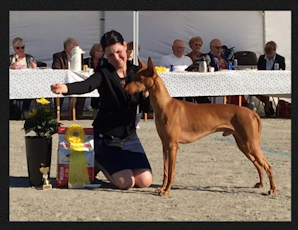 And in Piteå Sweden charming Manu, Northgate's Prince Charming, was BOB with CC and got his SE Ch title (Judge Austin Long-Doyle, Ireland)! 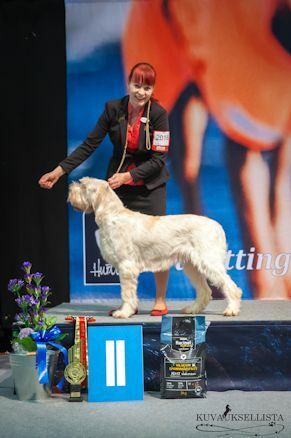 At the group finals he took a BIG-3 placement (judge Mrs Tuula Pratt from Finland). Today we sadly lost our Diamond due to a snake bite. My heart is all broken. I was expecting more years and some shows this summer with her as she was in great condition. We miss you Debbie... Dervisch A Diamond At Northgate 19.12.2004-23.05.2016. 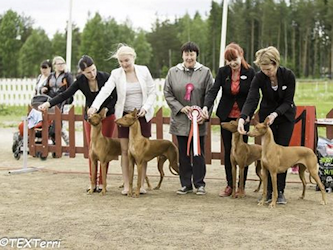 In Hamina INT Pharaoh Hounds were judged by Mr Bertil Lundgren from Sweden. BOB with cacib was Northgate's Northside Special "Britney", BB-2 CC Northgate's Rock Princess "Roxy", BOS & BOB-veteran Northgate's Dom Perignon "Skumpan", BM-2 CC Northgate's Rock the World "Sergei", BM-3 cacib Northgate's King of the Ring "Qezo". We also had BOB breeders class. 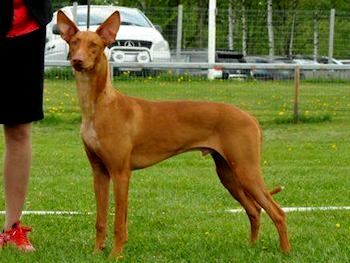 Spinone Fragola Tempesta Dineve "Riipi" was BOB with cacib. 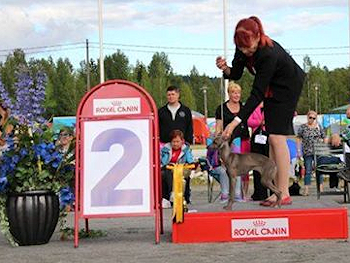 At the group finals Riipi took a group win (Mr Pekka Teini)! 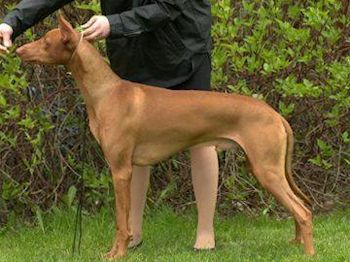 In Pharaoh Hounds BOB & BOB-veteran was Northgate's Dom Perignon, BM-2 cacib Northgate's Platinum Edition, BM-4 CC Northgate's Rock The World, BOS cacib Northgate's Northside Special (judge Mrs Kirsi Honkanen).IG "Stella" Dervisch Sixteen Shades of Blue BOB with CC & cacib. 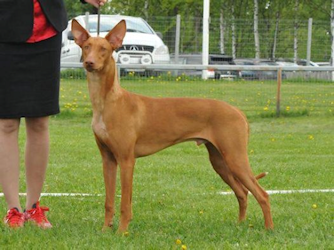 Spinone "Riipi" Fragola Tempesta Dineve BOB with cacib. 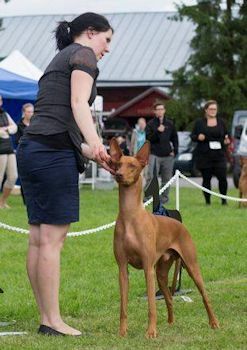 Enzo (Northgate's Forever N Ever) wins again Best In Show Veteran, this time in Koski Group Show! He was also BOB & BIG-4!! 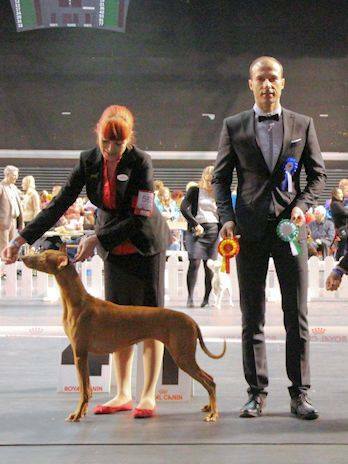 Pharaoh Hounds were judged by Mr Kostadin Shankov from Bulgaria. BOB BIG-4 was Northgate's Northside Special "Britney", BOS with CC was Britney's 9 months old son "Sergei" Northgate's Rock The World, BM-2 BOB -veteran BIS-veteran Northgate's Forever N Ever "Enzo", BM-3 Northgate's Prince Charming "Manu". 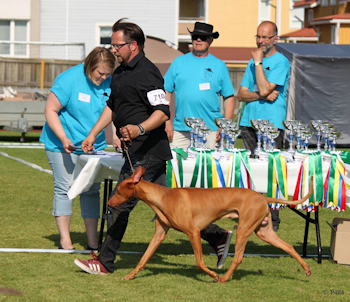 Italian Greyhounds were judged by Sighthound Specialist Mr Jarmo Vuorinen. 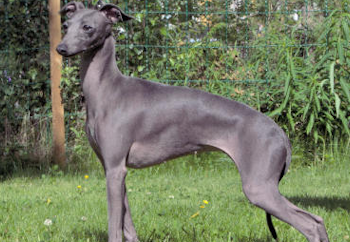 His BOB and later BIG-2 was our "Stella" Dervisch Sixteen Shades Of Blue. 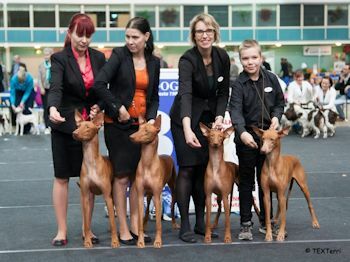 Pharaoh Hounds were judged by Mr Marko Lepasaar from Estonia. His BOB was Manu, Northgate's Prince Charming and BOS was Manu's sister Saga, Northgate's Poetry In Motion. 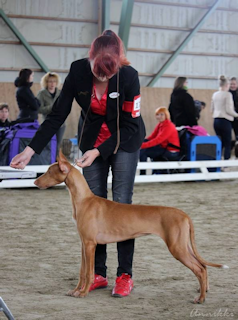 At the group finals Manu got a BIG-4 placement (group judge Matejcic Jasna from Croatia). 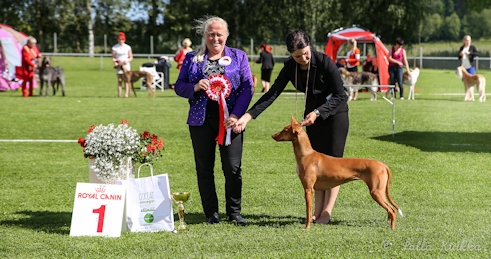 Sunny day in Kangasniemi all breeds show, judge Mr Markku Kipinä: BOB Northgate's Northside Special "Britney". 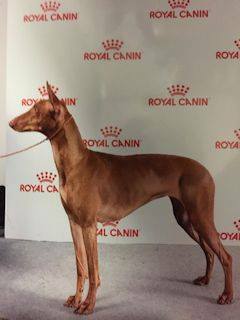 BOS & BOB-veteran Northgate's Dom Perignon "Skumpan", BM-2 CC Champion Northgate's King of the Ring "Qezo", BM-3 Northgate's Prince Charming"Manu", BOB-breeder Northgate's. 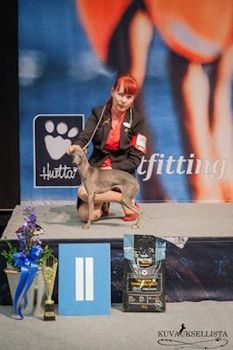 Italian Greyhound "Stella" Dervisch Sixteen Shades of Blue was BOB with CC and later at the group finals Mrs Leni Finne placed her as BIG-2. 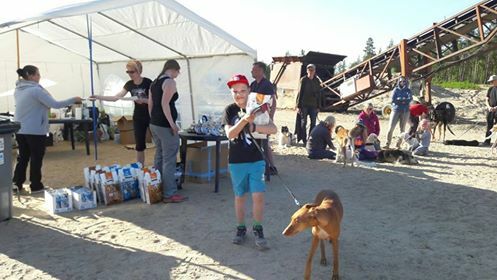 Northgate's Read All About It "Kaiku" BOB-puppy today in Polvijärvi. 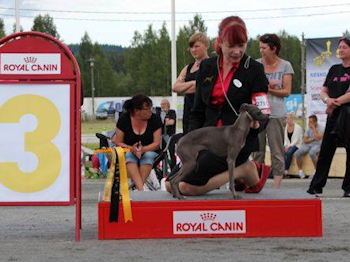 Tallinna Winner show BOB Northgate's Northside Special BOS Northgate's Nothing Else Matters, both now C.I.B. judge Mr Vytautas Baranauskas, Lithuania! 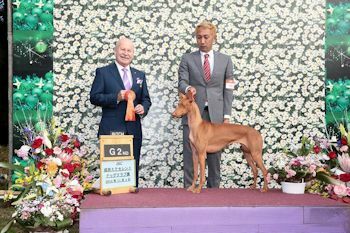 On Saturday Riipi, Fragola Tempesta Dineve, was BOB & BIG-2 and Northgate's Pharaoh Hounds were Best In Show Breeders class! 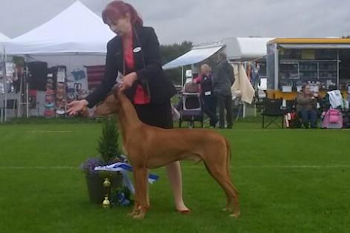 On Sunday Stella, Dervisch Sixteen Shades of Blue, was BOB and made the cut off at the group finals. 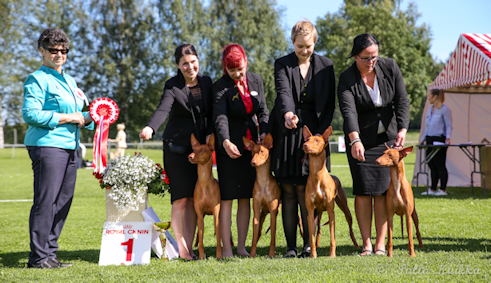 And in Riga INT we got 4 LV Champions: Northgate's Nothing Else Matters, Northgate's Northside Special, Northgate's Poetry In Motion & Fragola Tempesta Dineve. Sleep well smiling, dancing, tail wagging Pele, Northgate's Absolutely Fab 24.12.2004-14.03.2016. 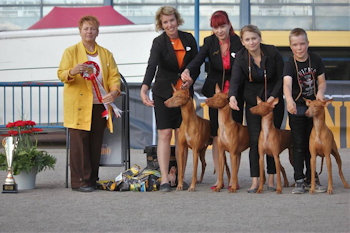 Pharaoh Hounds were judged by Mrs Marianne Holm. 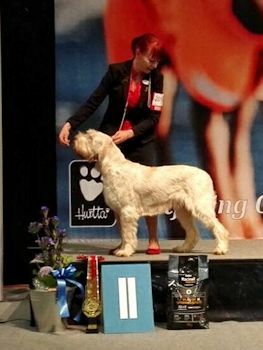 "Sergei" Northgate's Rock The World was BOB-puppy, "Kaiku" Northgate's Read All About It BOS-puppy, "Muumi" Northgate's Red Rabbit Hunter BB2 and "Roxy" Northgate's Rock Princess BB3. 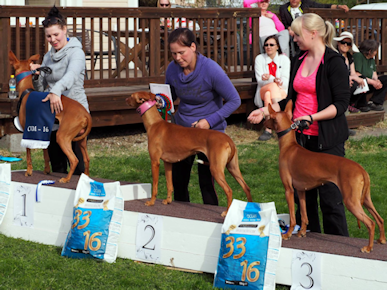 We also had a BOB-breeders class. 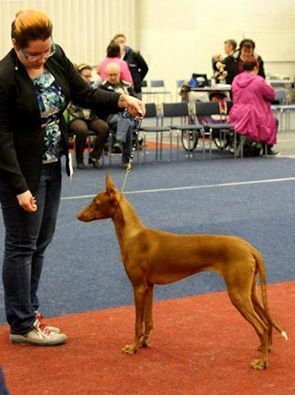 At the group finals Sergei was BIG-1 BIS-2 and our breeders class was BIS-1! 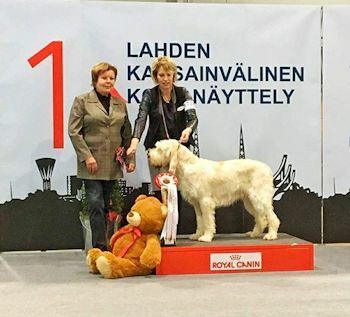 Thank you judges Mrs Marianne Holm (breed & group), Mrs Kirsti Louhi (BIS breeders class), Mr Markku Kipinä (Best In Show) and our sponsor Royal Canin! 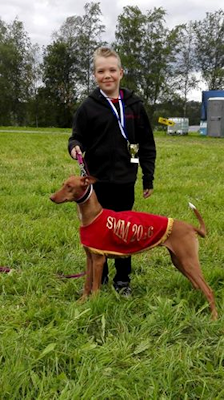 BOB-puppy Northgate's Red Riding Hood owner Elina Aho, judge Mrs Pirjo Hjelm. Congratulations Elina & Redi! 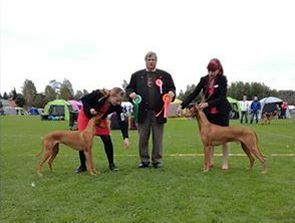 Pharaoh Hounds were judged by Mr Rainer Vuorinen. His BOB with cacib wa Northgate's Prince Charming, BM-2 was his brother Proud To B Loud and BM-3 Northgate's Qing of the North.